Check out these good looking books! 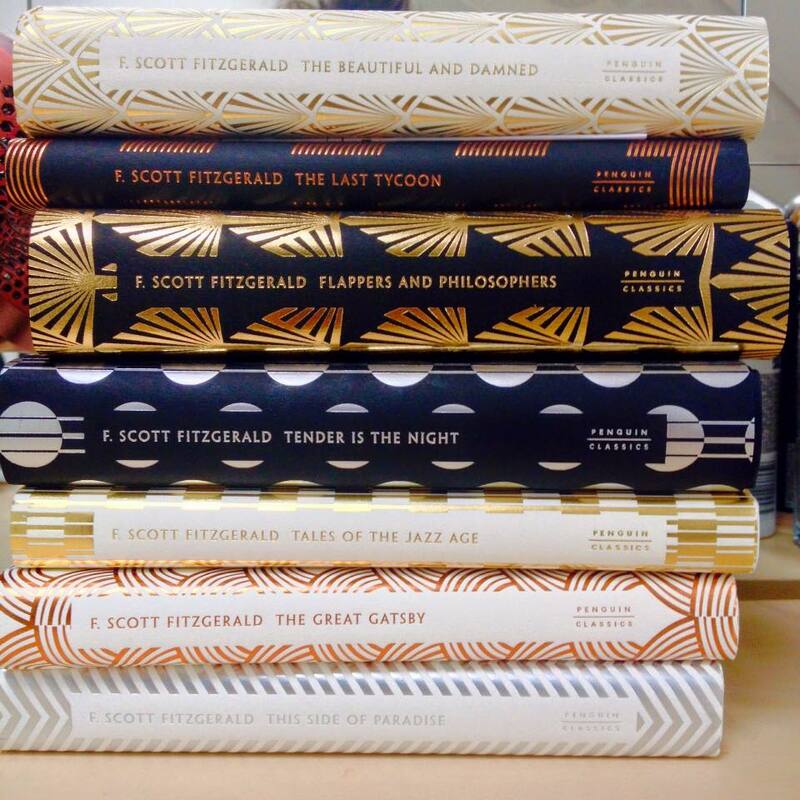 These are the Penguin F Scott Fitzgerald Hardback Collection - a set of seven gorgeous F Scott Fitzgerald books in complementary art deco themed covers. You might have seen these on my instagram a few months ago, but I never got the chance to fully talk about them, so here it is now! I love my books but when I am at university I don't have the chance to read for pleasure- an International Relations and Middle East Studies degree means a lot of serious, non pretty, very academic reading. Especially this year when I've had my dissertation to do as well! They are a ridiculously beautiful collection: the books and dust covers are high quality. The foiling on the covers is sturdy, whilst the paper quality is reasonably thick. The ink is very nice and black and a good size, although there is a bit of ghosting through the pages because it is so dark. The books chosen to be included in the collection are a good mix- Gatsby will be the most popular obviously. There is a good mixture between novels, novellas and short stories which is nice - and although I haven't read them all I'm looking forward to getting stuck into them and getting to know F Scott Fitzgerald a little more! To see the individual covers, most of my YouTube video is me showing you them in detail! Price wise, the RRP is quite expensive at £14.99 a book- not ridiculous but expensive when you want to buy the whole collection like I do! However if you head to Amazon you can get some seriously good deals, especially if you choose alternative sellers to Amazon themselves!